Judging by this guy’s eggcitement for art, his mother probably never told him to stop playing with his food. Mexican artist Michele Baldini is the genius behind The Eggshibit: an Instagram page dedicated to pictures and shapes made out of eggs in a skillet. 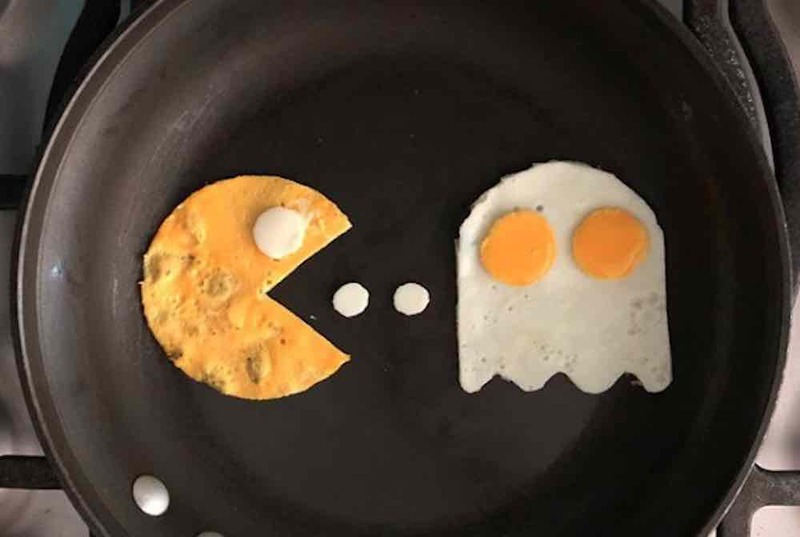 Some of the beautiful breakfasts feature pop culture references or company logos – others are just exceedingly intricate designs. If that isn’t genius enough, Baldini also does his best to include a pun-ny caption with every post, so definitely read those—and SHARE the post to crack-up your pals. Breakfast on the Gogh?? #LaMañanaEstrellada¿? Yolko Ono would approve ? My kind of coneggtion ?